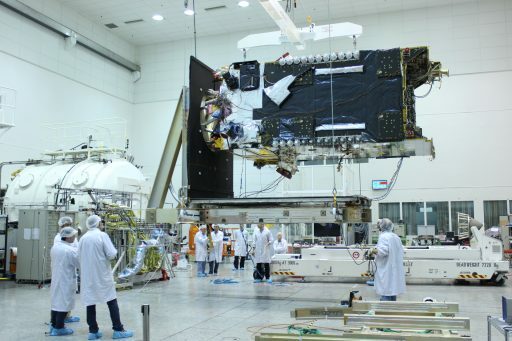 Israeli satellite operator and telecommunications provider SpaceCom expects to receive compensation for the AMOS-6 satellite lost in last week’s Falcon 9 on-pad explosion from its insurers as well as SpaceX. 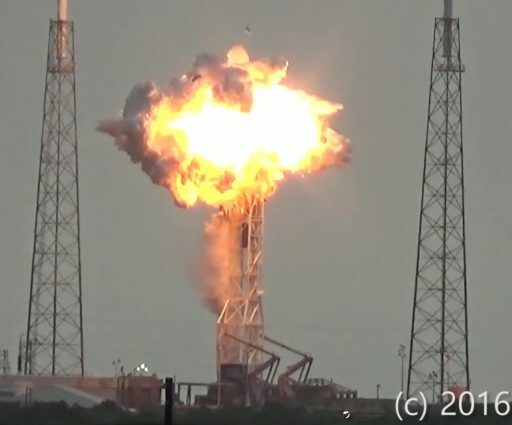 Spacecom’s AMOS-6 satellite was sitting atop the Falcon 9 rocket during Thursday’s ill-fated Static Fire Test and was lost when the launch vehicle suffered a sudden catastrophic failure originating around its second stage and leading to a rapid collapse of the rocket in a powerful blast. Video of the incident shows the 13-meter tall payload fairing with AMOS-6 inside falling to the ground around eight seconds after the first sign of trouble and exploding upon impact with the pad floor. SpaceX previously conducted Static Fire Tests without the payload installed and it is understood that the customer has the option of declining to have the satellite installed for the test. Performing the test without the payload adds one day to the launch flow as Falcon 9 has to return to the hangar for the attachment of the payload after the Static Fire. The loss of AMOS-6 came at the most inopportune time for operator Spacecom as the company had recently announced it would be sold to Beijing Xinwei Technology Group for $285 million. This deal, however, was contingent on the successful launch of AMOS-6 and its entry into service as part of Spacecom’s aging fleet. The sell of Spacecom was hoped to help the company grow in a challenging global market with the operation of the AMOS satellite fleet remaining in Israel. After Thursday’s failure, negotiations will have to begin anew taking into account revenue lost from not having AMOS-6 in operation as planned since a large portion of the satellite’s assets had already been sold. After Thursday’s on-pad failure, information on Spacecom’s insurance deal for AMOS-6 emerged. The company insured the spacecraft as marine cargo covering the pre-launch portion from its shipment to Florida and processing at the launch site. A policy covering the satellite’s launch and first year in operation would have activated at the moment of intentional ignition of the Falcon 9 rocket which, of course, never took place. 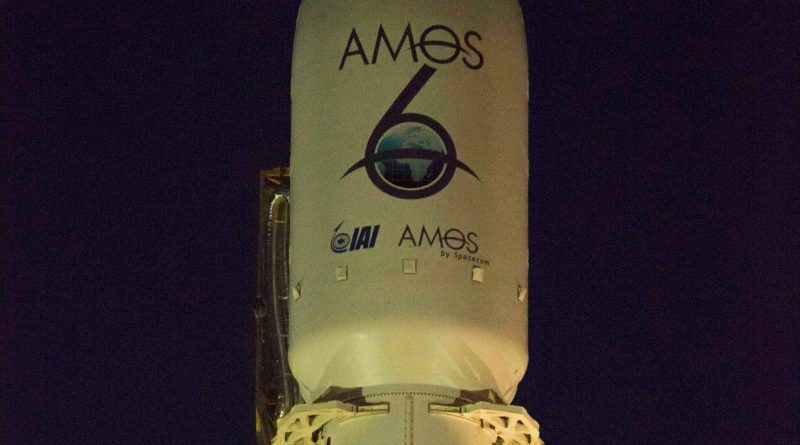 A Spacecom statement cited by the Times of Israel details that the company expects to receive over $173 million from IAI which provided insurance for AMOS-6. 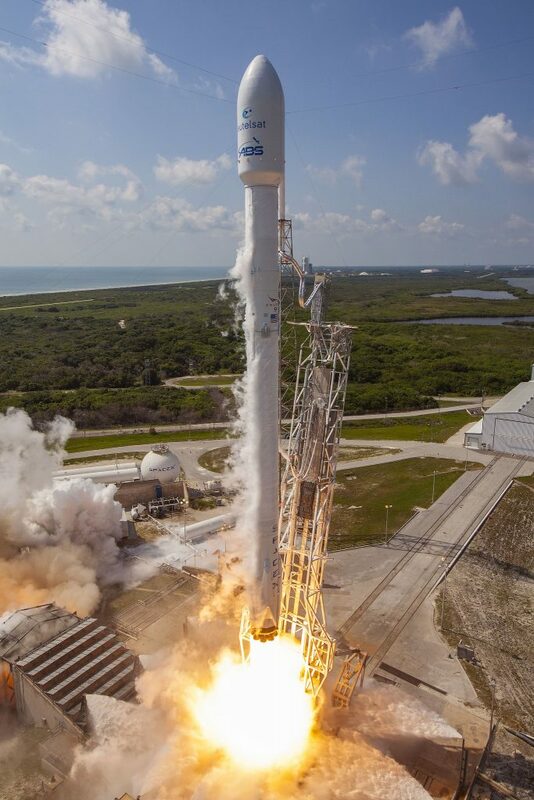 Additional insurers will pay $39 million and Spacecom expects compensation from SpaceX either in the form of a $50 million payment or free launch on Falcon 9 for the amount already paid for AMOS-6. Spacecom shares fell immediately after news of the Falcon 9 explosion broke. The stock price had dropped around ten percent by the end of trading at the Tel Aviv Stock Exchange on Thursday and losses continued on Friday peaking at 46% until the stock showed a slight rebound. The future for Spacecom is all but certain as the company faces losses on the market, the deal with the Chinese consortium hangs in the balance and the fleet of satellites currently under operation by the firm is aging fast. 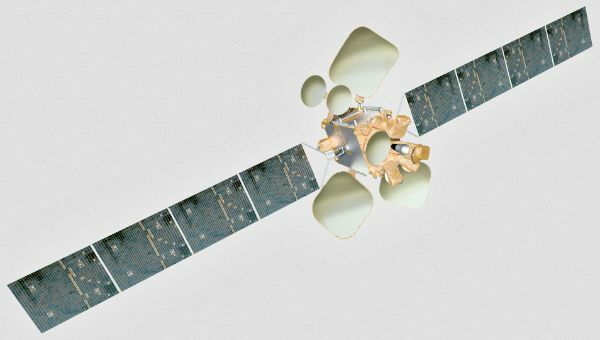 AMOS-5, the most recent addition to SpaceCom’s satellite constellation, suffered an unexpected failure in late 2015 when it suddenly dropped off line and could not be recovered only four years into what was expected to be a 15-year mission. Satellite builder IAI said it would assist Spacecom in any manner possible, but the construction of a replacement for AMOS-6 could take between two and three years. Spacecom noted that work was underway to find solutions for customers booked on AMOS-6 by purchasing a satellite to replace some of the planned capacity of AMOS-6. The deal with Social Media company Facebook that had leased a large portion of the satellite’s Ka-Band capacity to deliver broadband Internet to Africa is expected to be nullified. 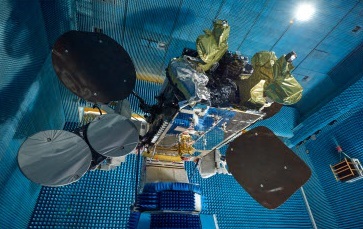 AMOS-6, the most advanced satellite built by Israel, carried a payload of 39-Ku and 24 Ka-Band segments to deliver three Ku-Band beams covering the Middle East, Central Eastern Europe and a Pan-European band, and 36 Ka-Band spot beams focused on Sub-Saharan Africa and Europe. The deal with Eutelsat and Facebook was to cover a five-year period for a total value of $95 million. 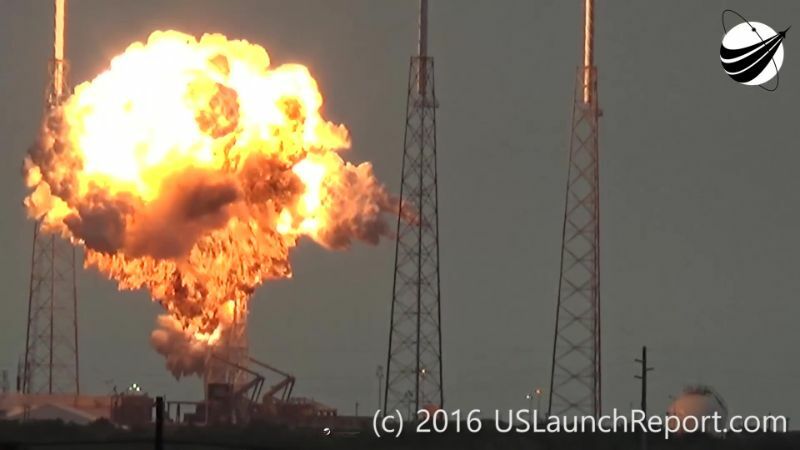 Financial implications of Thursday’s failure on launch vehicle operator SpaceX remain to be seen. The company has approximately 70 missions on its manifest for a total value around $10 billion. NASA remains the prime customer of the California-based company with several billion already paid for SpaceX’s resupply missions to the International Space Station as well as the Commercial Crew Program development. SpaceX was aiming for a May 2017 maiden flight of the Dragon 2 spacecraft on a shakedown mission to the Space Station to be followed later that year by the first crewed mission. Time will tell whether SpaceX will be able to hold onto all of is current customers who now must endure the second long-duration stand down of Falcon 9 launch operations after last year’s launch failure the claimed the loss of the Dragon SpX-7 spacecraft, a mission that cost NASA over $110 million due to cargo lost on the spacecraft.